WeatherMaster Tile is designed specifically for tile roof applications. This self-adhering underlayment consists of a proprietary modified asphalt and a woven polyester membrane. The woven polyester top surface aggressively bonds with foam adhesives used in tile installation and can withstand stacked tiles without slippage or damage to the membrane surface. The tough, slip resistant poly fabric surface provides a rugged barrier to physical damage, UV degradation, weather and moisture. 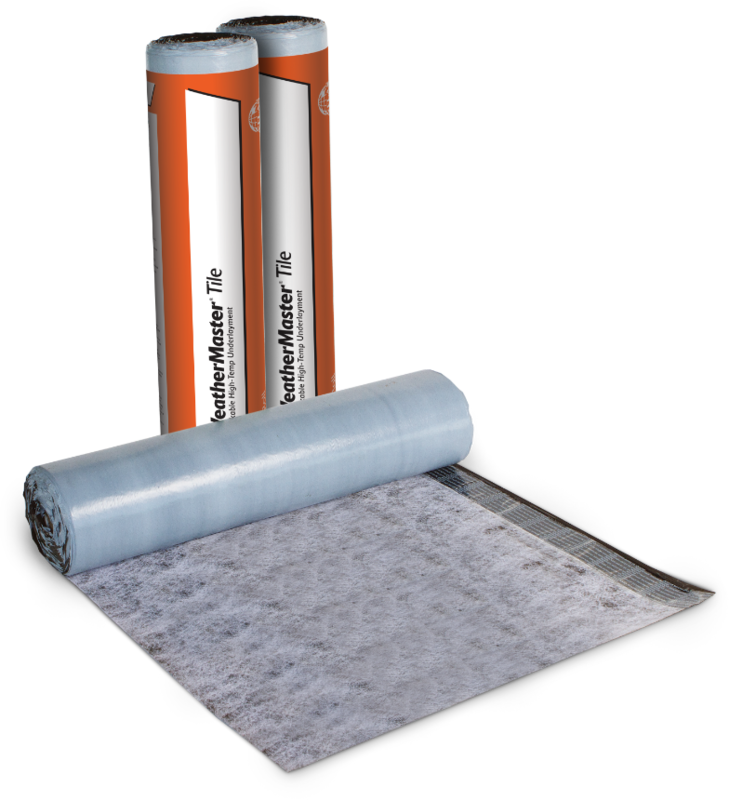 The unique adhesive layer offers application benefits of cold temperature adhesion and exceptional thermal stability under high heat. On steep-slope roofs (4:12 and steeper), upper courses of felt underlayment should overlap lower courses by at least 2 inches. Atlas recommends the use of Atlas WeatherMaster Tile for all tile applications.